Pods is a mixed media by Chris Macri which was uploaded on January 15th, 2010. 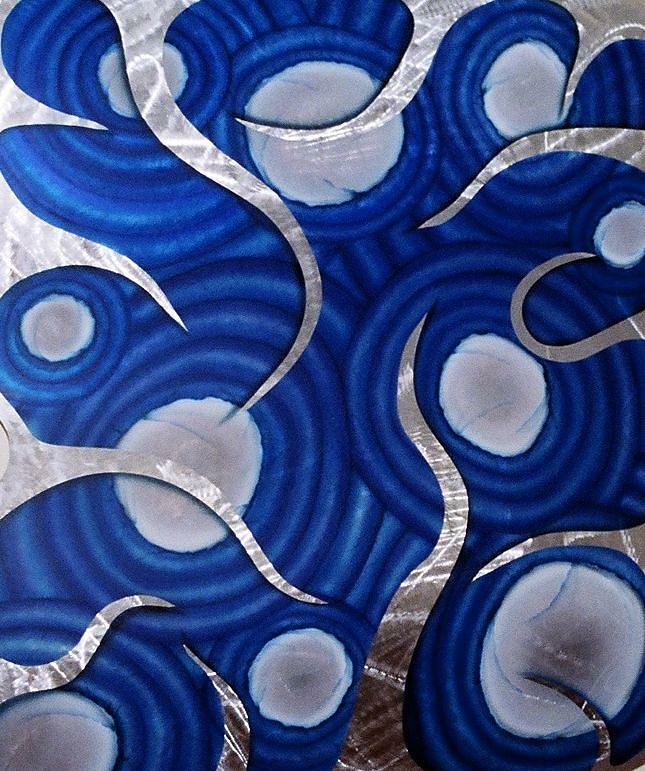 This piece features a disc-ground aluminum panel that has been airbrushed. The airbrushed rings are done in transparent blue and iridescant blue. The top and bottom fold over and make this piece sit off the wall approximately4\\\" to 6\\\"